Order your Easter Turkeys Here! 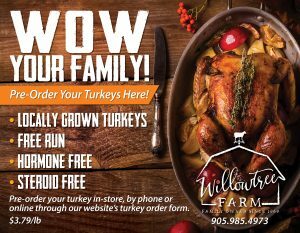 We have free run, Ontario grown turkeys that are so delicious you’ll come back every year for a great family tradition! Choose the size of turkey you'd like* 16 - 20 lbs.